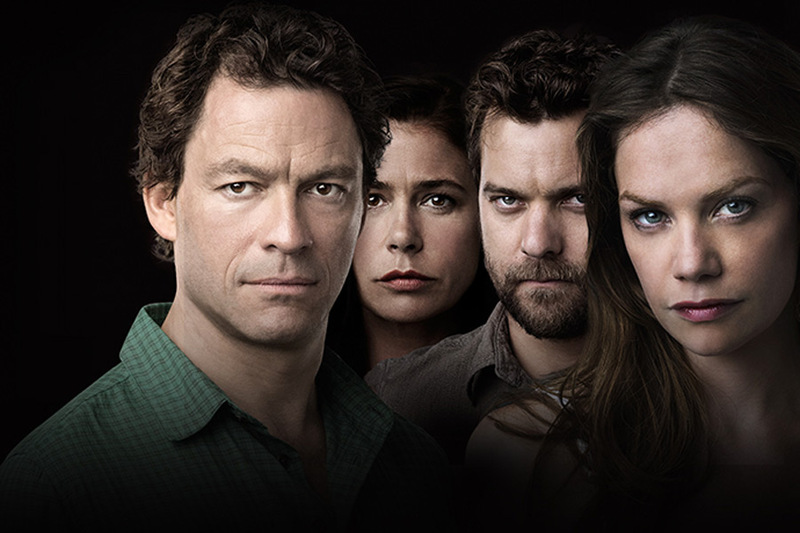 Those watching Showtime’s drama series The Affair (and if you aren’t, you should be, it is excellent) have been treated to quite a bit of New York family law over the last two seasons. While HBO’s Divorce, starring Sarah Jessica Parker, has gotten the lion’s share of press coverage regarding on-screen depictions of matrimonial discord, in fact The Affair is probably the better place to go for those looking for a realistic depiction of the laws and procedures governing the family in New York, particularly in this current season, the show’s third. In this first post looking at the series (there’s enough material for two posts), I’ll take a look at how season 2 approached the divorce of two main characters, Helen and Noah, and also look at some unresolved issues the show chose not to address. If you don’t watch the show, you can safely skip this post, but again – you should be watching the show. Brief recap: in season one, Noah and Alison embarked on what we now know to be an ill-fated affair – hence the show’s title. Midway through that season, Noah and Alison came clean to their respective spouses, Helen and Cole. This set up one of the many plot strands of season 2: Noah and Helen’s divorce. Noah and Helen are rich Brooklynites, and they have four kids. Thus there was no shortage of potential material for the show’s writers to work with, in the context of a marital dissolution. (To take one example, Noah wrote his book while he was still married to Helen, but it became a big success after they began divorcing – should she get a cut of the proceeds? Issue!) But somewhat disappointingly, instead of delving into exactly how a long-term married couple who are firmly ensconced in their domestic and financial life go about creating two new single lives, the show opted for broad comedy and few details. We only get one real scene showing the divorce process. It takes place in episode one of season 2, and establishes that Helen and Noah are trying mediation rather than litigation. Mediation – which is practiced by the experienced attorneys of BBNR! – is a sort of softer and friendlier alternative to going to court, and it’s particularly appropriate for couples who are still able to behave civilly toward one another. From what we see in that scene, Helen and Noah are not great candidates – Helen, for example, implies that Noah will be financially destitute without her family money. Noah seems like he could care less about the whole thing, which is his right, but he might be singing a different tune when Helen snatches up that book money. For a family lawyer, though, the bigger disappointment in this scene is the portrayal of the divorce mediator. The Affair uses subjective perspectives to tell its story, i.e., what is happening in any given scene is not “reality,” but a character’s perception of reality. It’s a fun concept, but unfortunately, the mediator comes across as comically inept from both Helen and Noah’s perspectives. Helen sees him as bitter and resentful, a man condemned to suffer due to his professional choices. Noah, in almost bizarrely stark contrast, sees the mediator as inappropriately happy and blasé, someone who cracks wise, can’t read a room, and won’t treat his clients respectfully. I can’t speak for all family lawyers, but mediators in particular are trained to be sensitive to their clients’ needs, including their emotional ones. This man would fail as a mediator because who would ever recommend his services to a friend? I mentioned earlier the myriad issues that could have been addressed by the show but were not. Okay, admittedly, I am not sure anyone outside of matrimonial lawyers would find this to be thrilling television, but I do wish the show made even a cursory mention of splitting the finances. For example, Helen is very rich, but it’s entirely family money. Whether Noah got any of it upon divorce would depend upon the extent that Helen “comingled” her family money with money earned during the marriage. Too much comingling – even, some lawyers would argue, any comingling at all – makes that separate property into marital property. Did Helen buy the marital home, a gorgeous brownstone in (I think) Park Slope with her family money? Was Noah ordered to pay child support based on his book earnings? So many unanswered questions! If you found this post to be overly critical of The Affair, fear not. In my next post I am going to look at the custody issues of season three, which revolve around two different characters, Alison and Cole. Spoiler alert: they are handled far more sensitively and realistically than season two’s divorce.